It’s been quarter of a century since the rain-swollen River Lavant burst its banks after hours of torrential rain, flooding Chichester, Bognor Regis, and Midhurst. To see a gallery of pictures from the terrible flood, click here. 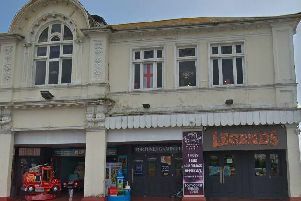 The area south of the Downs was most heavily affected by the floods which occured in early January 1994, coastal areas being hit first, followed by water lapping at shop doors in central Chichester. In the Chichester area, Bosham, Wittering, Lavant, and Singleton were all affected, and the Fishbourne area was also badly hit by the flooding. West Sussex fire services received 500 calls in just a few hours. Emsworth firemen pumped hundreds of gallons of flood water from Bridge Road back into the harbour, while horrified Bedhampton residents watched as torrents of sewage-ridden water poured into their homes and gardens. Barnham and Yapton were virtually cut off by road for days on end, with traffic reduced to a crawl - and 49 residents had to be rescued from their Barnham home by boats. Midhurst and Petworth people emerged relatively unscathed from the severe winter flooding, although after the rain came snow and ice, a thaw and then more rain, flooding roads and turning fields into quagmires. On Thursday, January 6, 1994, the Observer reported that shopowners were vainly fighting to keep back the deluge of icy water. Sandbags were piled up against the doorways of shops, cafes, takeaways and pubs, although water still flooded into the buildings. “It’s like being in a sinking ship,” said one shopkeeper. Huge quantities of water poured into Chichester’s The Hornet, cascading into the cellar at the Bush Inn, as well as New Park Road. Swift action by firefighters helped ease pressure on the city area by pumping water away from the river at Westhampnett, and also had pumps in action at The Hornet. Their work meant that the level of the river dropped by around nine inches. Despite this, homes, gardens, and hundreds of acres of land north of Chichester were swamped. Goodwood Airfield was water-logged, leading to the managers’ decision to close it - although the motor circuit stayed open with cars continuing to race during the downpour. It was the first time in half a century that the river had burst its banks in Chichester; the break happened in an area where the river crossed an empty building site. The water was eight feet deep in some places. Around 2,000 sandbags were handed out by West Sussex County Council workmen from the Drayton depot, although many more were needed to prevent the flood water spreading. Homes, gardens, roads, the village green, the village hall, and the cricket pitch were all under water in Lavant. Five children were stranded when a Land Rover broke down in flood water in Bosham, meaning that driver Mrs Tricia Jick had to help the frightened children clamber out of the vehicle’s windows onto the roof. She kept their spirits up by encouraging them to sing. Wellington boots were like gold dust in Chichester, one shop reporting that they had sold 100 pairs in one day. Everyone in the city was full of praise for the emergency services, who fought to keep the water at bay. More than 100 soldiers built pontoon bridges spanning flood water on two main roads near Chichester. The army also provided 50,000 sandbags. Local resident and historian Peter Parish, who lived in St Pancras, said the flooding was the worst on record since the 1940s. Southern Water said that Sussex had suffered the wettest December since 1934, with rainfall more than double the monthly average. Later, it was reported that Chichester had experienced its worst flooding disaster for 130 years.